Today we are happy to announce the nominees for the second annual Matty Awards! 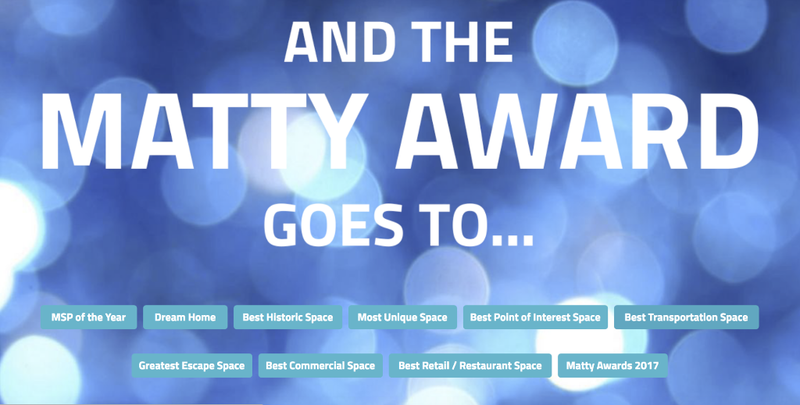 The Matty Awards were created last year to highlight the best Spaces and honor the creative community members behind them. The awards includes nine distinct categories — our most prominent awards are MSP of the Year and Space of the Year. Take a look at the nominees! The winners will be announced on February 14th, 2018. Congratulations again to all of this year’s nominees! Today we’ve released a new build of the beta version of 3D Showcase. 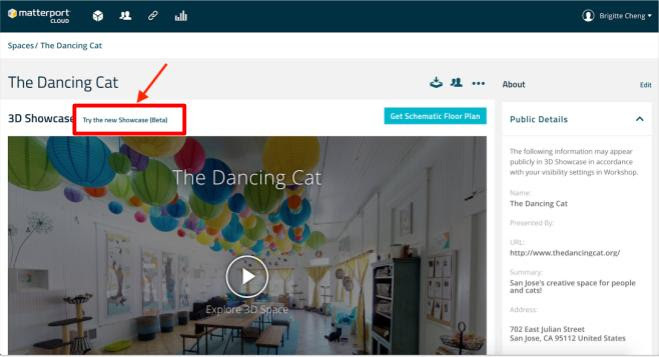 If you haven’t tried the beta version of 3D Showcase, open Matterport Cloud (my.matterport.com), open the Space detail page, and find the beta link. If you’ve already tried the beta version of 3D Showcase, thanks a lot! 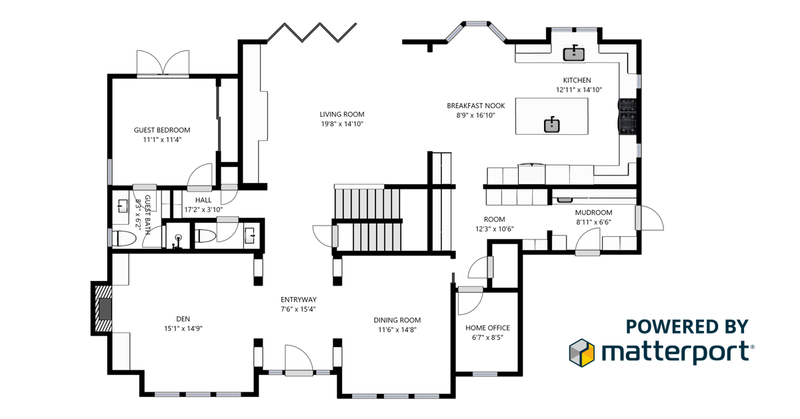 This current build has improvements and fixes over the last build, so please take a second look. With this beta version of 3D Showcase you can fine-tune your Guided Tours even more with predictable camera panning logic and customizable movement and rotation speed. To customize the tour speed, add the custom URL parameters &wts (Meters per second between each pano. Default is 2) and &st (Number of milliseconds to wait at each highlight during a Guided Tour. Default is 3500 ms.) to the 3D Showcase beta URL. Learn more >>. [REMINDER] MatterPak™ Bundles Launch Tomorrow! Tomorrow January 25th, you can download all of your 3D commercial assets with one click thanks to the launch of the MatterPak™ Bundle. Simply find the Space in Matterport Cloud (my.matterport.com) and click Buy MatterPak™ Bundle at the end. The auto-generated Matterpak™ Bundle will replace the current manually-generated Point Cloud beta program. As part of this new automation process, OBJs will only be available with the MatterPak™ Bundle, but you will still be able to download them for free today until the MatterPak™ Bundles (US$49 / €44 / £39) are made available tomorrow. 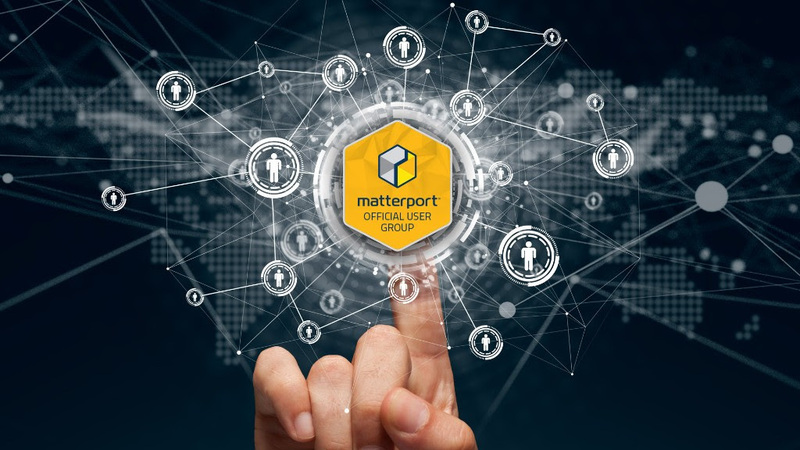 Note: MatterPak™ Bundles (with all commercial assets) will be available for any Matterport Space created on or after December 13, 2017. 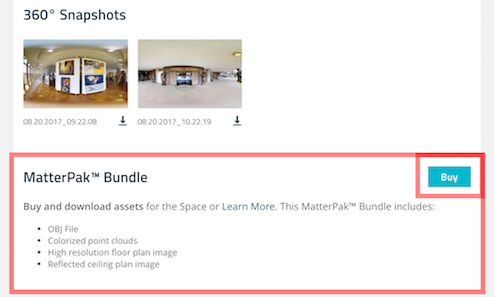 Matterpak™ Bundles for Spaces created before December 12, 2017 will only contain the OBJ file (no additional assets). MatterPak™ Bundles will be billed in the local currency each account is billed in.